Two students from Garden International School (GIS) are heading to the World Youth Chess Championships in Georgia. Year 2 student Poleon and his sister Bambi, who is in Year 5, have been going to the chess club in GIS since early 2015. Poleon attended the Thai Rapid Chess Championship (for adults) in autumn 2015 and had some good results. Poleon and Bambi played in the Thai Junior Chess Championship 2015, where Poleon was 3rd runner up and Bambi came 5th in their categories. They are due to take part in the ASEAN youth group championships in Pattaya at the end of May. GIS students Poleon and Bambi weigh up their next move. 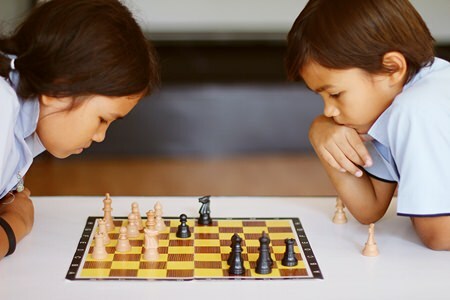 Poleon and Bambi attended the Johor Bahru Chess Festival in Malaysia in December 2015 and Poleon won Gold in the Under 8 category and a cash prize for Best Unrated Player (for adults), while Bambi won Silver for Girls Under 8. At the Thai School Chess Championship, Poleon won Gold in the Under 8s (winning every single game) while Bambi won Silver in the Under 10 Girls. Poleon and Bambi then attended the Qualification Tournament for the ASEAN championship where Poleon again won Gold, and was awarded sponsorship for the ASEAN Youth Group Championships from the Thai Chess Federation. Poleon is already a chess champ! The pair have now been endorsed by the Thai Chess Federation to play in the FIDE World Youth Chess Championships in October 2016 in Batumi, Georgia. 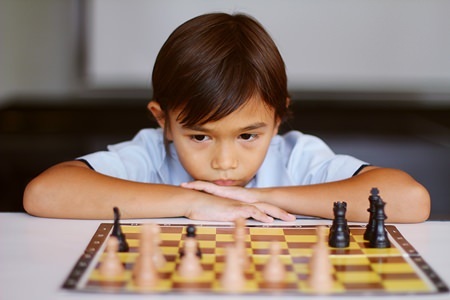 Poleon and Bambi attended the Bangkok Open chess tournament (a world class tournament for adults with many of the world’s top players competing), where Poleon won 2 and Bambi 1.5 of 7 games.